So far I have seen only one controller for use with the Tello, the one in their video, which is a GameSir G3s. If you have other experiences with other controllers which may be better or equally good, please advise here. Thanks. Saw this one posted also but I really have no clue yet . Here is another one that is supposed to work which I ordered. The question is what is the difference between T1s and G3s? Seems like it's just how it's mounted. Unfortunately, the T1s is now $35 when I purchased it for $25. Oh my Tello has just arrived. With that said, in the back of the box, shows a list of accessories that you can get with the Tello. Batteries, colored cover to replace the white original color and a game controller. The game controller picture is the T1s (Link above) so to the very least, I'm on the right path on confirming that it "should" work. Well by Thursday I'll have a T1s and a G3s. I sure don't like flying with the phone. Heard one member claim his T1 isn't working with android. I'm not sure if it's me you're talking about but definitely the T1 DOESN'T WORK. I'm debating on returning it and was about to place an order for the T1s thinking it is probably that issue but looking at the reviews for the Tello on Amazon, everyone is now commenting that the T1s doesn't work as well or any of the Gamesir controllers for that matter. Repeating what everyone else is saying is that there is another controller that Gamesir is supposed to be releasing T1d or something like that and that is the one that is supposed to work but ETA on releasing it uknown. In either case, my son is currently using the T1 for his iPhone to play minecraft which is pretty cool. He actually connected it to also his Samsung Tablet (bigger screen) and playing with the controller is like playing on a playstation/xbox. Sorry not to get off topic but the whole bluetooth controller idea is pretty cool. So yes, Gamesir as of now DOESN'T work till they release a newer controller that is supposed to do so. I'm curious on the other hand whether it's a software specific change on Tello to make other controller works?? I don't know. It will have to be plug N play if I'm gonna get either to work considering my PC skills. I did what I always do and that's to jump before researching. But I ordered the Tello last Friday and got it Monday and there isn't a lot of info on it as of yet. 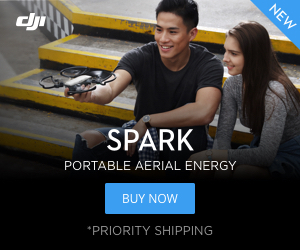 Flying with the phone might be a compact way to pilot it, but it seems Ryze missed the boat by releasing it w/o things like controllers, batteries, chargers and props when the quad came out. But I can wait. GameSir G3s doesn't work with Android - Samsung S8+ in case the phone makes a difference. The Gamevice controller came today. It works perfectly, makes it a lot easier to fly. I never could get the hang of the stupid on screen joysticks in the app. My only complaint (I guess you'd call it a complaint) is the cost. At $99 it effectively doubles the price of the quad. With android or apple? Or do they offer both? Mine is for Apple iPad Mini 4. Well I doubt I'll spring for an I-pad. Just curious when you did get the app to connect did it list your new controller on the app? It didn't really list the controller, not even sure where you'd look to see that. The app knows about the controller, the on screen joysticks aren't there. 4 Confirm the connection in the Bluetooth joystick settings. I've tried both the GameSir G3 and T1s and no luck. It's starting to look less promising. Someone posted a response from Ryze tech support over at Mavic Pilots that stated the only compatible GameSir controller is the as yet unreleased GameSir T1D. I have a Steelseries Minbus bluetooth game controller bought at Apple to use with Apple TV and it works. Decently priced controlling by the looks of it. Shame they don't have a version that works with both Android and iOS. Or do they?